and see if I could experiment with anchoring holograms across rooms in my house rather than just anchoring holograms in one room. I was keen to see if I could put those platforms in different rooms in the real world to see how that works. I feel like there’s something quite ‘magical’ about taking a hologram in one room and doing something to it such that it appears in another room that I can’t currently see (maybe it’s obscured by a wall, floor, ceiling). 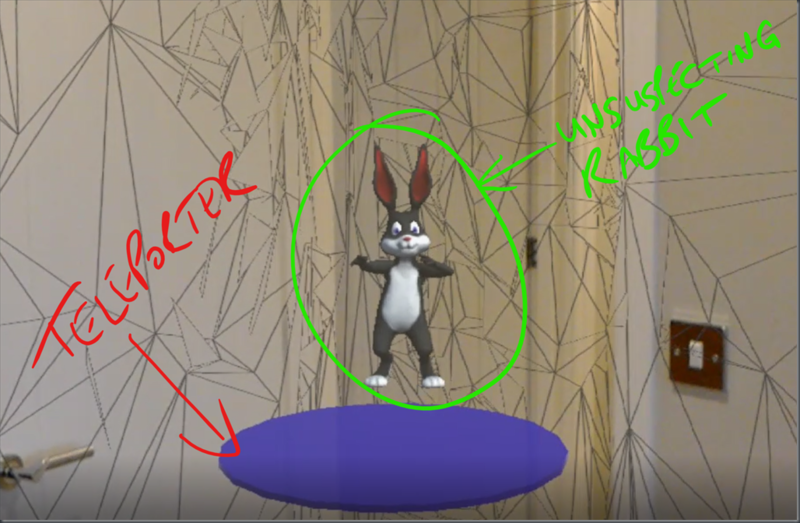 An extra bit of magic might be to have multiple users sharing the same rooms and holograms so that two users in separate rooms could send holograms back and forth between them and there’s support in the HoloToolkit for doing that type of sharing (see the ‘Holograms 240’ tutorial here). The video is fairly low quality. 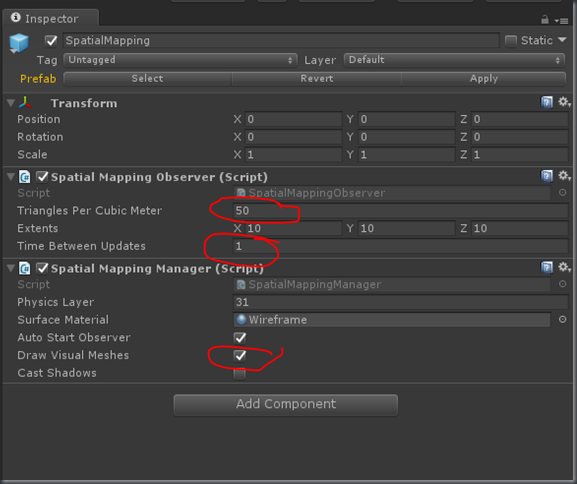 I’ve chosen to have the spatial mapping grid displayed here as an aid to debugging whereas usually I wouldn’t want to use this type of app with all those grey lines drawn all over the mesh like this and it’s a simple ‘checkbox’ change to switch it off. 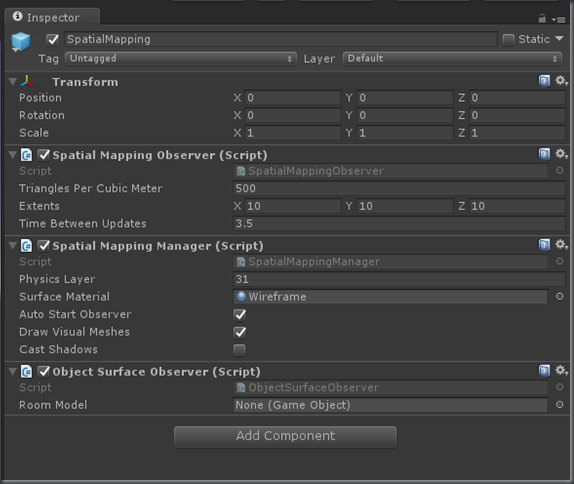 How does that look from a Unity/code perspective? 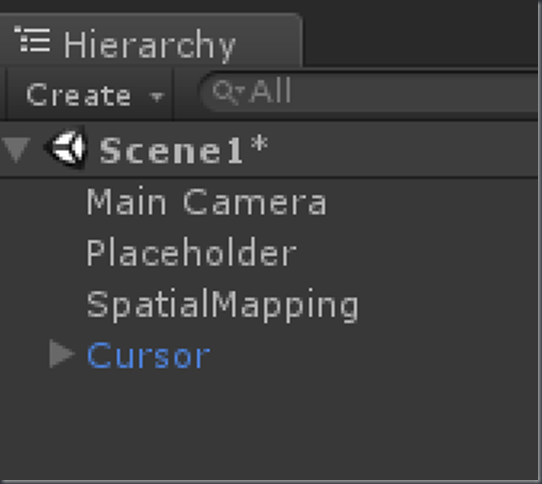 My Unity scene is very simple in that I have installed the HoloToolkit and configured my project, scene and capabilities for Holographic development (including making sure that my app has the capability for ‘Spatial Perception’). 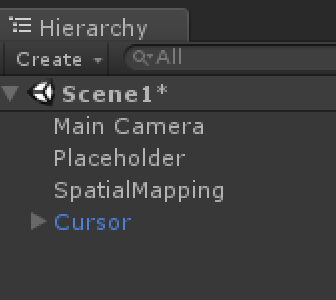 The camera is just the default camera and the Cursor is the cursor prefab taken from the HoloToolkit as I did in this video and with no modifications made to it. How large a ‘space’ can Hololens map? 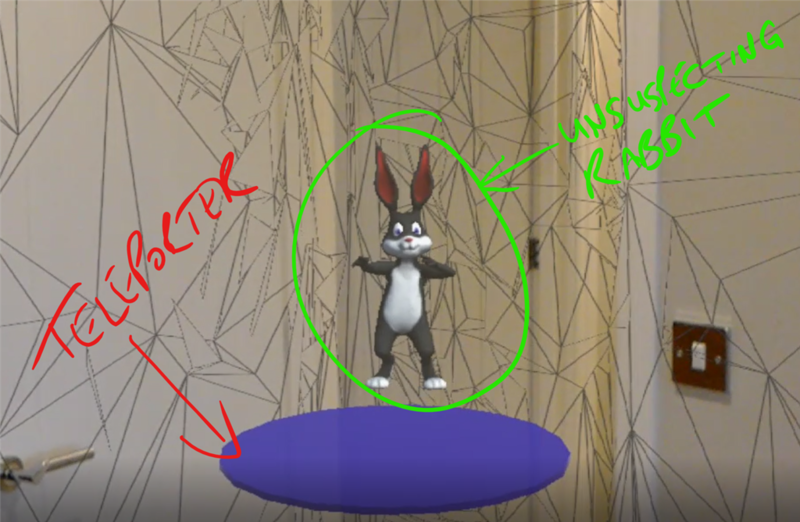 How does Hololens handle changes in loaded spatial data? 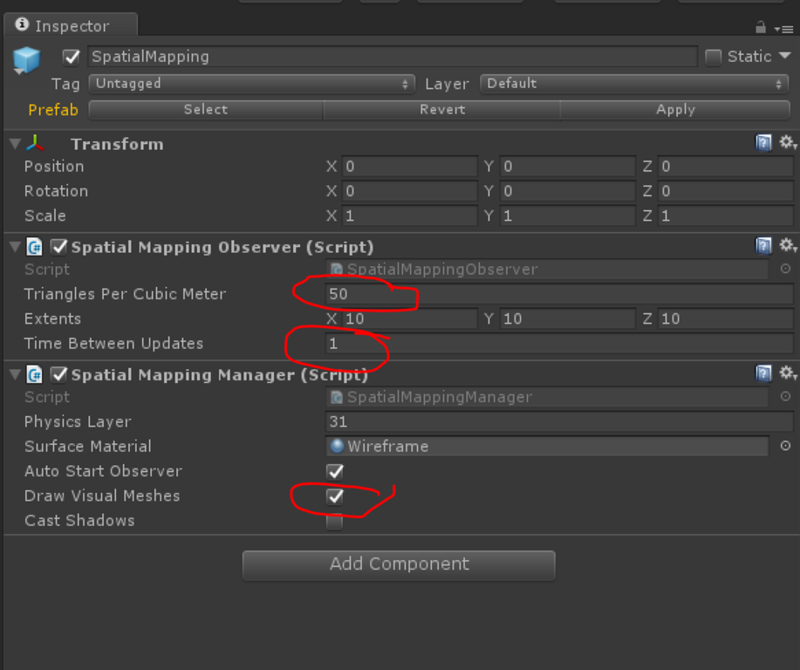 Can stop Spatial mapping native process? 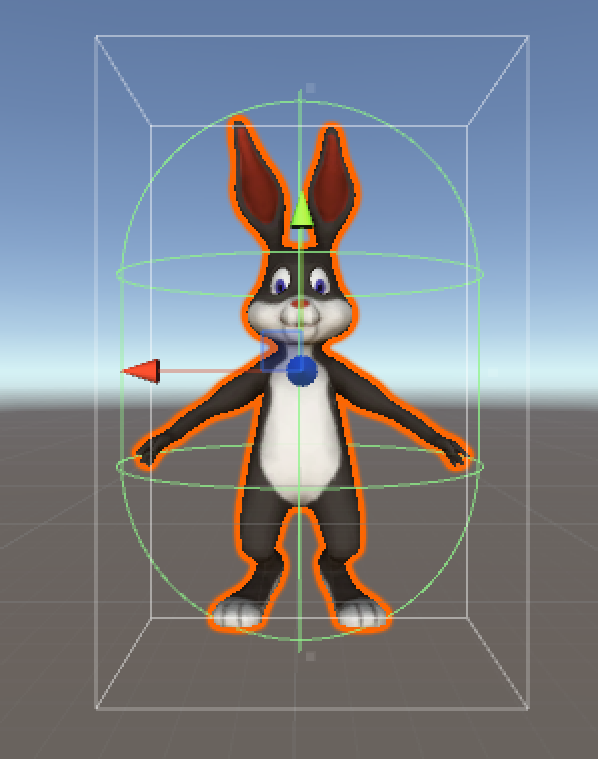 The intention of the empty game object is to provide a parent object that can be used to reparent the rabbit as it teleports to this particular disk and that seemed to work out reasonably well. // Transporters (not rabbits) have world anchors. // We don't want our objects to fall to the floor. // a flag then do it in LateUpdate things seem to work out. // Did we collide into a transporter? It tries to make sure that the game object has a RigidBody component on it between Start/Stop of drags. It tries to remove the world anchor from a transporter as it starts being dragged and put it back when it stops being dragged. It tries to detect collisions between rabbits and transporters and to transport the rabbit when those collisions occur. This script depends on a script called GameState and you might notice that I’m using what I think of as quite a ‘clunky’ mechanism to try and differentiate in this script between rabbits and transporters using a method GameState.Instance.IsTransporter and this somewhat reflects my collision with Unity and its approach to adding components to objects rather than (e.g.) sub-classing them. I could do a better job than I’m currently doing so this way of doing things does feel a little ‘rough’. 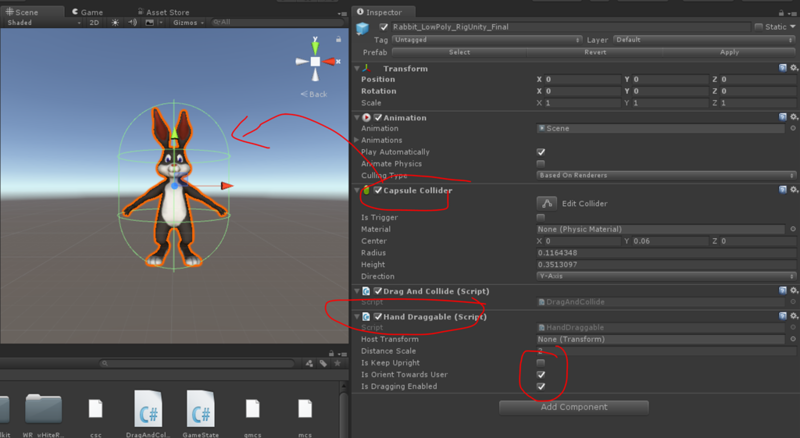 Those are my 2 prefabs and the behaviours on them. 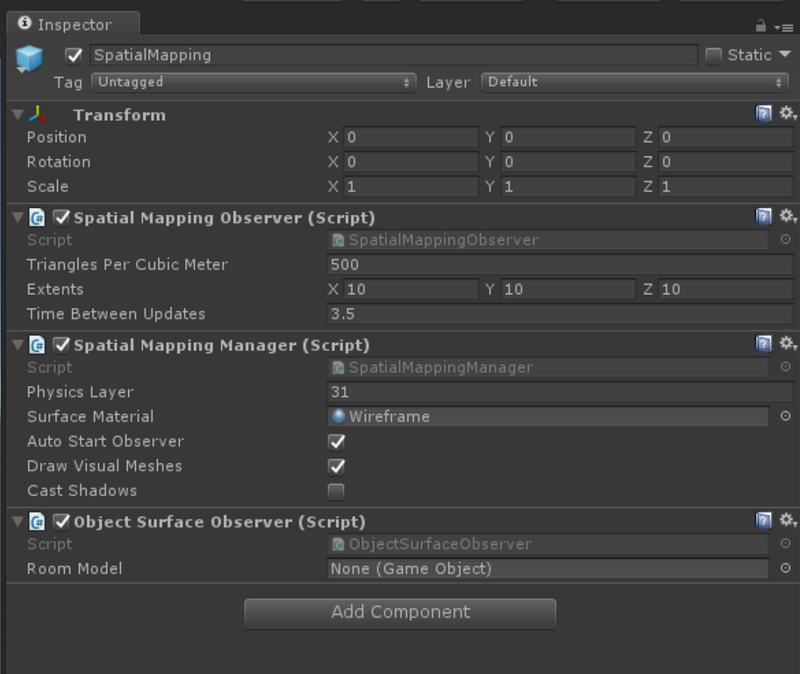 I then have a ‘placeholder’ in my scene which does some more work. 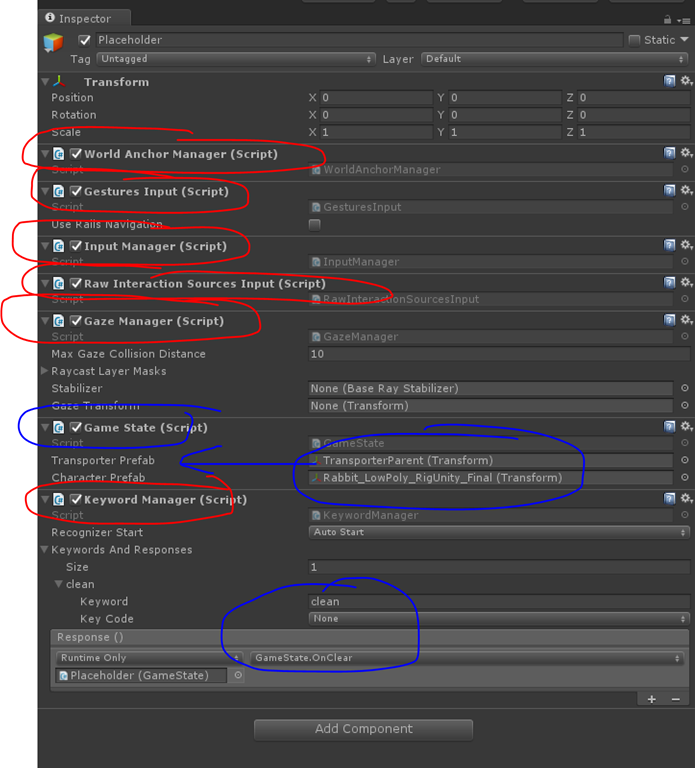 in the screenshot, all the red bits are just scripts used without any changes from the toolkit. 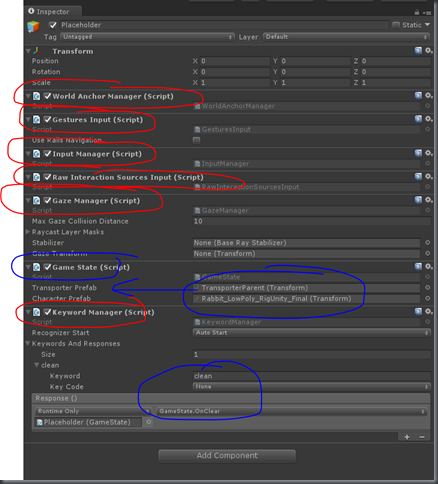 The blue stuff is where I have added my own script (GameState) and you’d spot that it has two properties for the Transporter Prefab and the Character Prefab (the rabbit) and also that I’ve used the Keyword Manager in order to link the Clean spoken keyword to a GameState.OnClear method. // Are we going 'home' or 'away' ? // other code will stop it moving! // We want to respond to clicks if nothing else handles them. // Are we making a transporter or a rabbit? // Initially, parent the object off the placeholder. // be 'bad' 😦 ). // Only transporters have world anchors so remove those here. and while that code might be a little bit ‘clumsy’, I don’t think there’s too much in there that shouldn’t be fairly obvious in terms of what it’s doing and the code around loading world anchors is something that I’ve re-used from a previous blog post. I think it’s fairly clear that the way in which I’m identifying my 2 transporter objects is pretty clunky and there’s perhaps a need for some other classes to manage (e.g.) the world anchors but this was my first rough sketch to try and get what I wanted working.